Car shopping in the Mainline area? Look no further than the new vehicle inventory at Land Rover Willow Grove. We have a wide variety of Land Rover SUVs in stock, from the popular Land Rover Range Rover to the fan favorite Discovery Sport. When you’re ready to take your Doylestown commute to the next level, stop by Land Rover Willow Grove to pursue the Land Rover models for sale in Willow Grove, PA! lender. Lessee responsible for insurance, maintenance, excess wear and excess mileage over 25,825 miles at $0.30/mile - 3,325 demo miles. Based on MSRP of $52,823.00 with a residual value of $29639.84 as of 04/01/2019. Residency restrictions apply. Customer must take new vehicle delivery from retailer stock by 04/30/2019. Termination fee may apply. Not responsible for typographical errors or omissions. See Land Rover Willow Grove for details. For more information please look at our Auto iPacket... it really has so much information on the exact equipment on the one you're looking at. Call or email us for any further questions about an unit.. Just give us the stock number when you call  610.436.0600.Silver 2020 Land Rover Range Rover Evoque First EditionBluetooth / Handsfree Calling.AWD 9-Speed Automatic I4For more information please look at our Auto iPacket... it really has so much information or exactly the equipment on every car. Call or email us for any further questions about an unit.. Just give us the stock number when you call. 610.436.0600.
responsible for typographical errors or omissions. See Land Rover Willow Grove for details. 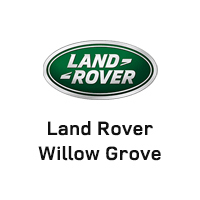 Why Choose a New Land Rover from Land Rover Willow Grove?